Today’s blog is a quick recap of installing a single station Vertex aeration system. 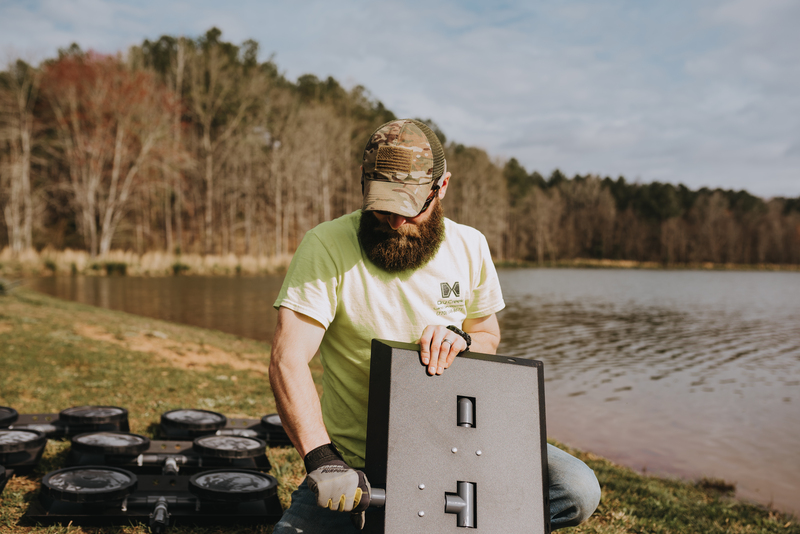 These systems offer incredible benefits to pond owners from decreasing fishy smells to reducing the chances of a fish kill. 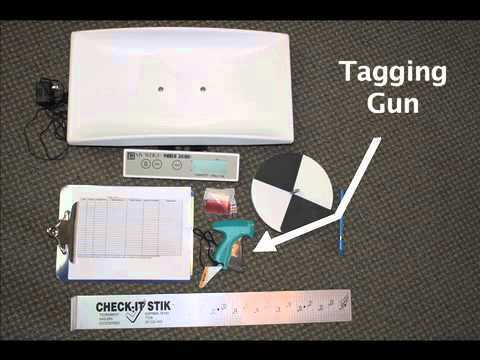 The systems are easy to install and take less than three hours to install. The only requirement is there needs to be a power source near the lake. If power source is an issue we offer a solar unit. Today’s lake was about two acres in size so that’s why we only recommended a single aeration unit. Josh doesn’t need any fancy tools to get the unit up and running. Josh is seen here connecting the self weighted tubing to the main compressor unit. Hose clamps and PVC cement are all we need to get the tubing connected. The power source on this particular lake was a good ways away so we buried the tubing so it won’t be in danger of meeting the bush hog. Josh is loaded and ready to deploy. When we send in proposals to Vertex Systems they create a custom lake map with locations to drop the units. We do not randomly drop units. If you would like to improve your pond and safe guard your fisheries investments call the office to get talk with a biologist that will point you in the right direction. 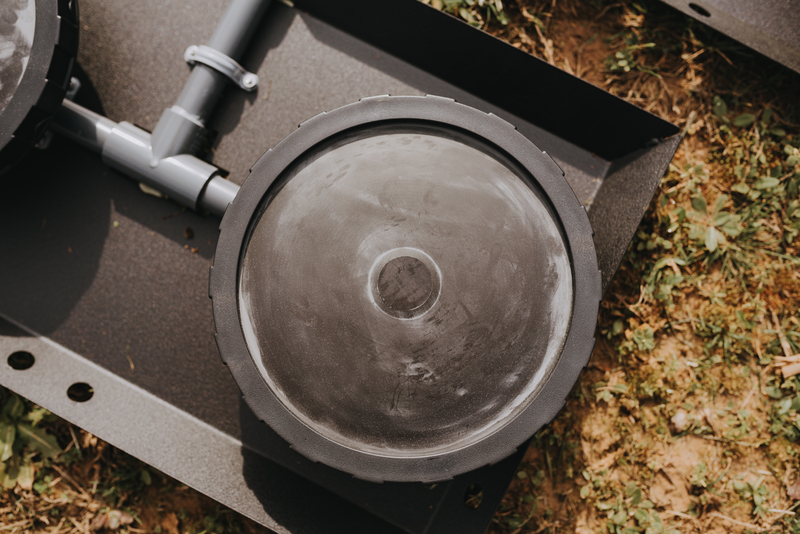 In order to eliminate the stratification of the water column, prevent turnovers, and increase fish habitat, we recommend installing a bottom diffused aeration system. Bottom diffused aerations systems are designed to pump large volumes of air that pushes water from the pond bottom to the surface where it spreads out and contacts the atmosphere and becomes oxygenated. The pumping action is created by millions of tiny bubbles emitted by the diffuser that rise and entrain water with them. 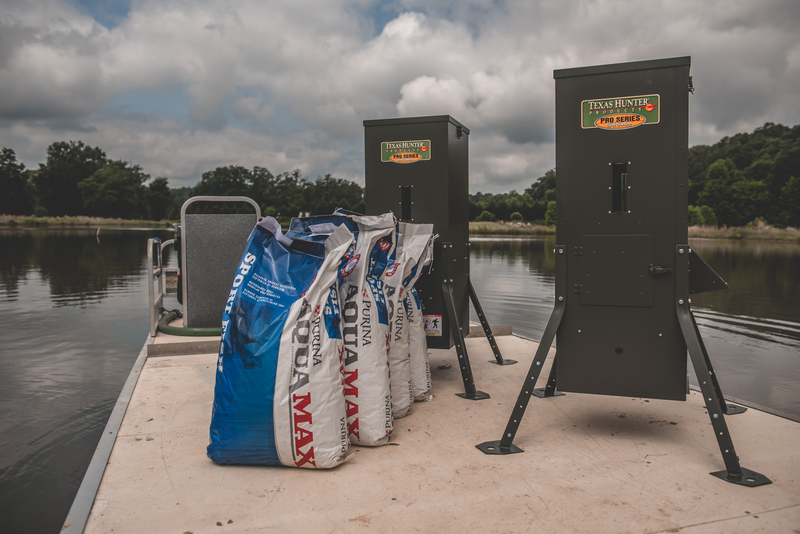 This system will eliminate thermal stratification (eliminate the thermocline) and turnovers in the lake providing oxygen throughout the water column. The thermocline is the boundary between warmer surface water and cooler deep water. These areas do not usually mix naturally. The upper water column is oxygenated by contact with the atmosphere, phytoplankton and aquatic vegetation growth and supports aquatic life. Traditional aeration systems need a power source located close to the pond. This is typically not an issue but every now and then a pond located well off the grid needs aeration such as today’s pond. It would be very expensive to get an outlet installed. The installation process if very similar to a traditonal aeration system. The main difference is digging a 3ft hole that’s 18 in wide to anchor the solar panels in. Josh is drilling holes near the bottom of the pile. Rebar will go through these poles. The rebar will prevent twisting of the solar panels in high wind conditions. Quickrete replaced red clay and gave the unit much more stability. It’s important to keep every thing level to get maximum exposure to the sun. The skeleton is complete. The next steep is to adjust the angle that the panels sit. Each season will require a different angle. Josh working on getting the air compressor up and running. The compressor is much smaller and quieter than most imagine. This unit in particular weighed about 20 lbs and could be carried by one person. Each panel has a negative and positive wire that then will be joined to the compressor. Each panel has its own positive and negative connection. To join these two a special connector married the two together so only one negative and positive wire were running to the compressor instead of four wires. Once the wires were connected it was time to lay the aeration hose. The aeration hose is special because lead is infused into the hose making it self weighted. It’s important that the hose be weighted and on the bottom. Since the pond is a new construction we aren’t able to get a boat in it to drop the diffuser station. New guy drew the short straw. This is the complete solar station. Upon connecting all the wires the unit started up. The end result is lots of stratification busting bubbles which is exactly what we want. If you think your pond might need aeration give the office a call to get an answer. The warmth of summer brings both joys and frustrations for lake owners in the Southeast. Long days mean plenty of daylight to get some after work fishing in. The warm water has fish’s metabolism firing on all cylinders so that means they ready to eat. However there are some downsides to the shift in weather. Many of our clients will notice aquatic weed growth emerging as well as surface algae. Besides hampering aesthetics and making it hard to bounce a worm along the lake bottom, aquatic weeds do not harm the fishery often. There is a much more silent threat pond owners need to be aware of. It’s called lake stratification. The thermocline is the boundary between warmer surface water and cooler deep water. These areas do not usually mix naturally. The surface water is oxygenated by contact with the atmosphere and supports aquatic life. 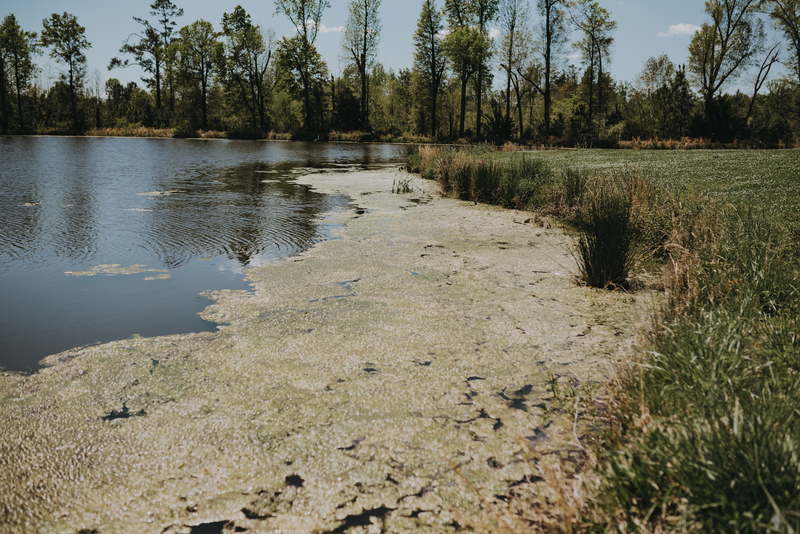 The deep water soon loses its oxygen through digestion of organic matter on the pond bottom and cannot support desirable aquatic life. 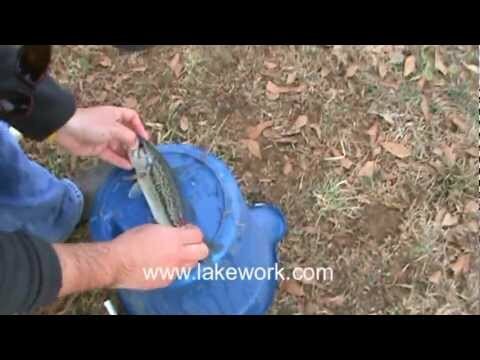 Fish kills and bad odors can result from lake stratification. Fortunately lake owners have a solution in the form of bottom diffused aeration. This is a close up of a bottom defused aerator. The black circular membrane has tiny holes in it that allow compressed air to be released into the water column. Small lakes may only need two of these units will larger lakes will need many more. A small compressor on the shoreline creates the pressure. Tyler is attaching the hose to the unit so air can be sent from the compressor to the unit. The hose is self weighted so it doesn’t need extra weight to get to the bottom. The weighted hose comes on large spools so here Tyler is making sure the boat operator has plenty of hose. We don’t want to put a lot of pressure on the units where they are connected. With such a high pressure system any weakening of the materials could be costly. The final step of the process is to connect the hoses to the compressor. The compressor is very discrete and quiet. In addition to wanting the aeration unit installed the property owner also wanted to get several Texas Hunter fish feeders installed. With his goals of producing trophy bluegill Purina Aqua Max fish food was the only choice. With 45% protein this feed will quickly add size to bluegill, catfish, or feed trained bass. 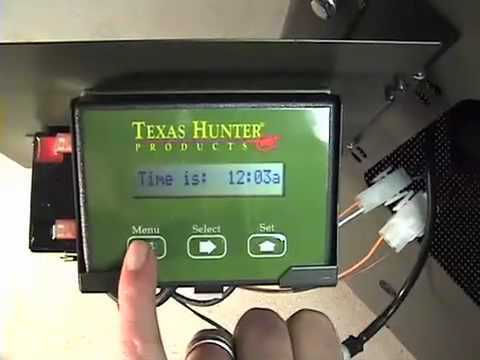 Texas Hunter fish feeders are on of our favorite units to install. They are simple, well built, and carry a five year warranty on parts. We give property owners the option to install the feeders themselves because of their simplicity. However, at AES we know most owners are very busy so we can install, fill, and program feeders for the owners. At the end of the project the owner was pleased to know his pond will be protected this summer. Lakes are investments whether it be time or money. If you would like to protect your investment this summer contact us and we will get you covered. Did a little eye surgery today and removed these ocular nematodes from bluegill eyes. They had Pop Eye disease. Only cure for Pop Eye disease is ridding the muck from your pond. If you see Pop Eye disease in your pond, then contact us for an aeration quote. We all know that Vertex aerators offer many benefits and here is another one, great fish habitats! Check this out to see bass and forage jumping from the Vertex aeration system while on an electrofishing survey.